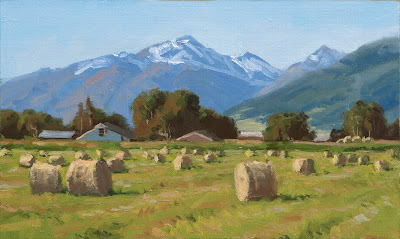 The late summer has meant that everything is late this year, including the first hay cutting. The air is perfumed with the scent of mown grass right now. 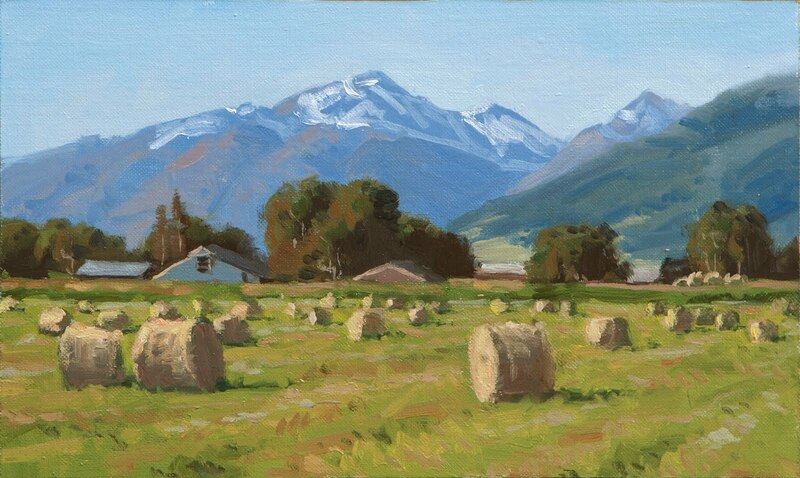 I can't seem to drive by a field of freshly bailed hay without wanting to stop and paint it. Study 10x6", oil on linen.